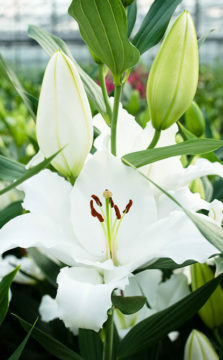 We would like to welcome you at Royal Van Zanten during the Dutch Lily Days! 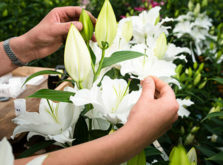 During the Dutch Lily Days you will see the existing Van Zanten varieties and (perhaps even more interesting) new varieties from our own breeding program. 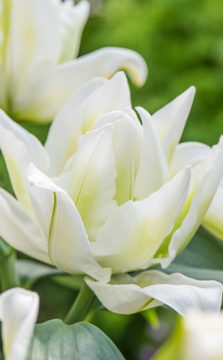 With a history of more than 150 years in the flower bulbs we still remain leading with consistent quality. The Dutch Lily Days are built around three themes this year: double oriental lilies, Rapid Lily Line-up and the odorless Oriental-lily. The double Oriental lilies of Royal Van Zanten are characterized by: high ornamental value, a light fragrance, long vase life and every flowers opens beautifully. A real pleasure for all the senses. Last year our visitors were able to get to know our Rapid Lily Line-up. This year the Rapid Lilies get a sequel. A perfect moment for you to a (renewed) introduction. That not every Oriental lily has a (strong) fragrance is proven by our Oriental: Tourega. This intense white lily with green accents in the center has all the characteristics of the Oriental exclusive of the fragrance.